I'm really excited to join Franki and Mary Lee at A Year of Reading, Alyson at Kid Lit Frenzy and Claire and Tammy from Assessment in Perspective to talk about this wonderful reading format! Hooray for Graphic Novels! Thanks for joining us this month to celebrate all things Graphic Novel! I've enjoyed thinking about how to use them, ways to add creativity with my lessons, and of course, finding even more titles to read and share. Bird and Squirrel doesn't fail. Not with the humor of James Burks behind the wheel! Bird and Squirrel are by far one of my favorite duos. They're Laurel and Hardy. They're Will and Grace. They're Tom and Jerry. They're Elephant and Piggie. The duos that are about as opposite as you can get, but feed off each other perfectly. With Bird's happy-go-lucky attitude and Squirrel's neurotic tendencies, you know you're going to have a laugh-out-loud, funny read in front of you. This past Tuesday, the third Bird and Squirrel book was released. Squirrel is as obsessive compulsive as always. Bird, well, without giving anything away, Bird has some issues in this one. And wow, does it make for great comic relief. Except for the scenes that Squirrel steals. Because he has some good lines. 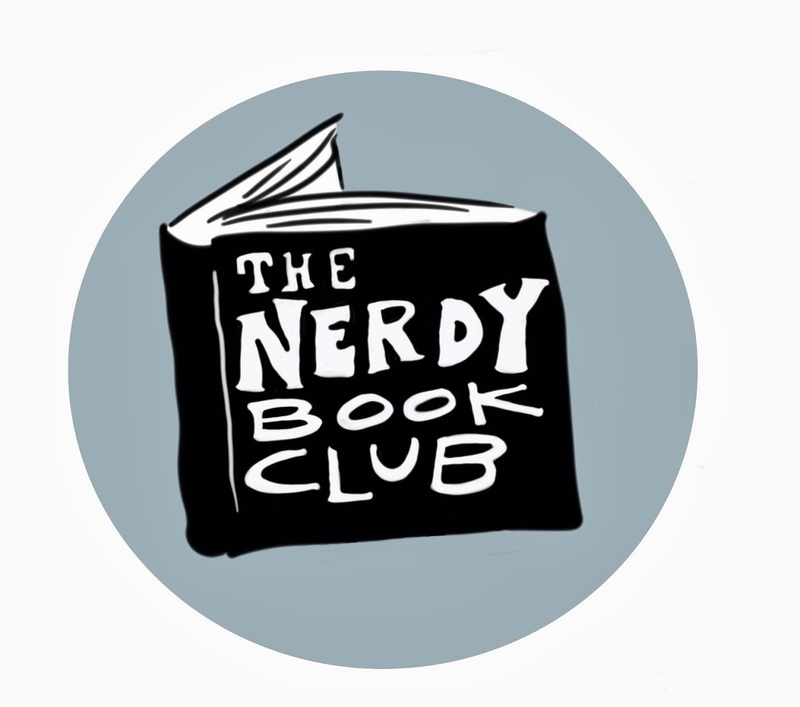 Add this entire series to your classroom library or school library if it's not there already. These books will make your students laugh out loud - and that is one of the best sounds you can hear. When you know that a book has hooked a reader. Total satisfaction. Thank you James Burks. Keep the Bird and Squirrel adventures coming. I'm so glad Alyson started this Wednesday meme because as a result, I've read so many wonderful nonfiction picture books. When a nonfiction topic comes up, I often have several nonfiction picture books that could be read to students to help them understand the topic. I'm always on the lookout for more, and I have everyone who participates on this day to help me. Today, I'm spotlighting some books that you've read. It helps me when I see a book mentioned over and over. It's a book I know I want to read, and sometimes, when it doesn't fall in my radar the first time, it's good to see it mentioned again. If you haven't discovered these yet, check them out! What stands out to me in this book is the way the text and illustrations work together. If you read the text by itself, it really is just a collection of facts about the blue whale. It's the illustrations that make this book stand out. Instead of photographs, which would really make it just another book about the blue whale, it has illustrations of a little boy and the blue whale. The text and illustrations work together to partly tell a story, but partly to illustrate what the text is teaching the reader, but maybe in a more fun manner. This book really is a clever way of introducing a nonfiction subject to a reader. Minor contrasts an animal that is out and about during the daylight, with a similar animal that is nocturnal by nature. The reader is often left to infer why the animal is out during that particular time, but by using picture and text clues, they can often surmise why. Of course, Minor's beautiful artwork accompanies the text - I find there is often its own story told within the pages of his work. Another compilation between Sayre and Steve Jenkins. This book spotlights the woodpecker, an animal I know mostly through cartoons! While I liked the rolling words of Sayre's text, they really didn't inform me much about the woodpecker. The reader is often left to infer what Sayre is trying to teach us about the woodpecker's habits. I think young readers will have a harder time pulling out the information. The back matter is full of information, it's organized by category and the reader will learn a lot about what is missing from the text. But I know many young readers get bored with too much information, so it would be hard to read everything. Eat Like a Bear is still my favorite Sayre/Jenkins team effort. My favorite bird, by far, are hummingbirds. I find them to be fascinating creatures, from their looks, to their speed, to the way they can fly. What captivated me about this book is the beautiful photography. I often found myself wondering how in the world they were able to capture some of these photographs of these quick flitting birds! No back matter in this book, but visually stunning photos. What a wonderful mentor text for writing! I love how Page organized this - she starts off with the idea that a chicken followed someone home, now what? Each page is then organized with questions about chickens and taking care of one. The answer not only answers the question at hand, but discreetly gives the reader information about chickens. The back matter contains more questions and answers, as well as a chart showing how a fertilized egg develops. This might be a fun pairing with the middle grade novel Unusual Chickens for the Exceptional Poultry Farmer by Kelly Jones. That's a statement I've heard from students and teachers alike. But, when you have books like this to share, it's just so fun! While trying to look at the bright side of spiders - like their "cool superpowers" or how awesome their webs are, or how really only a few have venom that hurt humans - every page or two the author can't help but smoosh a spider. Sorry, spiders. It'll take some time. But it won't take long for the reader to love this book! Apparently I had a lot of Steve Jenkins and Robin Page reading to do, since this is the third book that they are mentioned in! Step 5: Take a break. If your skull is as thick as a mountain sheep's, you won't suffer any permanent damage. And if the other guy backs down, you have a new girlfriend." C'mon, you chuckled at that, right? This is a wonderful mentor text to show how to merge narrative informational writing with more typical informational writing. Even if you don't teach anything on this subject, to still use this book just for writer's craft is enough! Posada's Day of the Dead skeletons are seen all over the United States. The bright colors, the skeletons looking like they are up to something that we can never quite figure out - we've seen them in so many places, but what is the history behind them? And not only the skeletons, the calaveras, but the man behind them - Don Lupe Posada. Great narrative text and a very comprehensive back matter, this book can be used as a writing mentor text in many, many ways! So what nonfiction are you reading? I'll probably read it too! I shared some great books to use in your civil rights unit or if you want to share books about the character trait "determination" here. 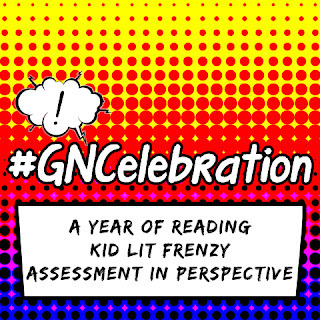 In the 4th week of #GNCelebration, I talked about how graphic novels are a format not a genre! I shared how to use Elwood Bigfoot as a mentor text for opinion writing here. This really is an impressive book. Not sure why I'm surprised, it's by Elisha Cooper. Essentially, it's an alphabet book. An animal alphabet book. But it's a little bit counting book too. Each page has 8 of a particular animal, can you figure out which animal? You would think that would be enough, but there's more. At then end there are some great, fascinating facts about each animal that is mentioned. There's also a couple of more number puzzles to solve. And Cooper adds some additional source notes. What a classy book. People who know me are always shocked that I read a book about Winnie the Pooh and liked it. Well, really the books aren't about Winnie the Pooh as they are about the story of the name behind the famous bear. I really enjoyed Sally Walker's book earlier this year, but Mattick's book takes the story to the next level. See, Mattick is related to the man who found the real Winnie. It takes the story to the next level. There are also layers to the story that lie within the beautiful illustrations. Sophie Blackall created sidebar illustrations that depict the author telling the story to her son, while the main illustration unfold the story of the bear. In present day, Lou is trying her hardest to save her house by solving a family mystery back from the Civil War days. By reading bits and pieces of a Civil War diary, we see how events from the past influence the story that is taking place in the present. We also see how racial tensions within her town are causing people to choose sides when a high school coach makes, what seems to be, a racial decision. Tyre does a masterful job weaving these story lines together, linking past and present. I've had this book for so long now, and I'm finally getting to it. Such an interesting story since it's hard to bond with the main character. Graff is an amazing storyteller. Princess Juniper of the Hourglass by Ammi-Joan Paquette is on my radar as are 500 other books, but I think that one will be next! Oh, you are going to love meeting Elwood! Talk about a likable character. Elwood resembles a Sasquatch, so you can imagine how that leaves him a little bit lonely. He spends his days and nights by himself, but what he really wants is to be friends with the birdies! He tries very hard to do all the things that might help him become friends with them, but nothing he does seems to work out right. Until.... he gets an idea. Which ends up teaching him a lesson in making friends. When I read this book I immediately thought of Peter Brown's You Will Be My Friend. What perfect mentor texts to pair up together! 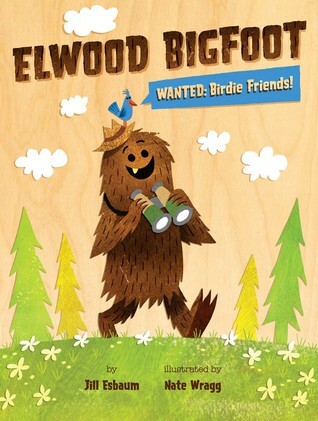 Read both Elwood Bigfoot and You Will Be My Friend. Compare and contrast the two books. Look for students to bring up that they both went about making friends the wrong way. Close reading - look for the ways Elwood and Lucy went about making friends. What worked, what didn't work? Have a debate, who had the best ideas to make friends? Who went about it the best way? Write an opinion piece. Back up those opinions with evidence! What great texts to compare and write about! 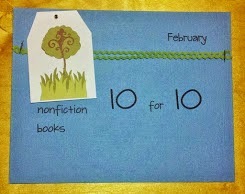 #GNCelebration Week Four: It's a Format! "What are your favorite kinds of books?" "What is your favorite genre?" In the past two years, I've been introduced to graphic novels, have fallen in love with graphic novels, but have never had to learn so much about a format. Yes, that is what graphic novels are. A format. Like an e-book. Like a chapter book. Ora a hardcover. Or a picture book. Yet may readers put graphic novels as its own genre. Ignore that it's a graphic novel. If it were any other book, where would you put it? As we build students' reading identities, we help them understand genres they enjoy reading. As they come to understand reading preferences, they should also understand they can read a variety of formats within that genre. I think we are so lucky to live in a time when picture books are so well done. They seem to purposeful. I can pick up a picture book - fiction or nonfiction - and find a reason to use it. Most of the time, it's because it's an amazing story to share and read. But then I can use that same picture book for multiple reasons. Maybe because it teaches a great literary technique or standard. Maybe because it goes along so well with a content unit. Maybe because it stands out because of the way the author constructed his/her words. Or maybe because it really is that good and I want to read it again and again and again. What also amazes me, is the way picture books can be used in classrooms that have students that have outgrown picture books. Or, at least, we perceive those students to have outgrown picture books. Because really, do you ever outgrow picture books? I wish I had picture books that helped me understand my history lessons. I know I have a deeper understanding of our nation's past because of picture books. I've written about books that celebrate civil rights before. But amazing picture books continue to be published about this tumultuous time period. It's too bad we aren't learning from our history. I think more people should be reading these books. Amazing nonfiction picture book biography about the civil rights fighter Fannie Lou Hamer. I don't think you can study civil rights in the 1960s without looking at what she did for the right for all voters in the south. Illustrations are a stand out in this book. Really enjoyed this picture book about a young boy visiting the courthouse to vote with his grandfather in the 1960s. After seeing his grandfather being turned away for being illiterate, he is determined to one day vote, and be able to do it for his grandfather. Mirroring a walk uphill, we read about the journey of African Americans have been on to earn the right to vote. Have you read these graphic novels yet? They were new to me this summer! Be sure to find this wonderful nfpb that goes along with many NGSStandards. Each page asks the reader a question to make them look closely at the illustrations, which are quite humorous! I am looking forward to using this book with my ELL students - the vocabulary and the illustrations that help match it will be an interesting conversation to be had! I loved the illustrations just a bit more than the story. A sweet story about a little girl who comes across a treasured book at school. The teacher lets her bring it home, but unbeknownst to the girl, all the words fall out of the book on the way home, but a tricky fox is there to catch them. When the girl looks through the book, she's disappointed that the words are gone. However, she hears a whisper that reminds her she is able to imagine her own stories. This would be a good book to pair with Inside My Imagination by Marta Arteaga. I think this book will appear on many Mock Caldecott lists. I think this would be a really fun book to have the author read aloud! Aaron Reynolds is so fun in person, I can only imagine the life he would bring to this book! I love the theme and what is important in friendship. I also love that Nerdy Birdy figures things out for himself. I'm always on the lookout for a good Christmas book. This one is cute - offering some great tips on how to catch the Big Guy. I should finish this book tonight (Sunday). It's as magical as Snicker. I'll feature a post about this book but it will go up in January since this book is published in February 2016. I have so many books checked out from the library and I have so many books that I need to finish from my #mustreadin2015 list. Yikes. And I've been having trouble fitting reading in. Hmmmm, I wonder if I can give up sleep? This summer I discovered some "new to me" graphic novels. Have you seen these? Would be great for a 3rd-5th collection! We first meet 10-year old Portia, who clearly is having some trouble with making friends, paying attention in school and staying out of trouble, even when the trouble has good intentions. We also see that she lives with her mom and there are some questions about where her dad may be. 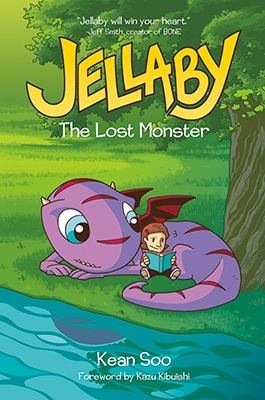 Very quickly, Portia meets Jellaby, a purple monster who appears to be lost. She ends up buddying up, although not willingly at first, with another outcast from school, in order to get Jellaby home. Of course, when you're dealing with a monster that is double your human size, there's bound to be trouble! Fans of Amulet will enjoy this series. 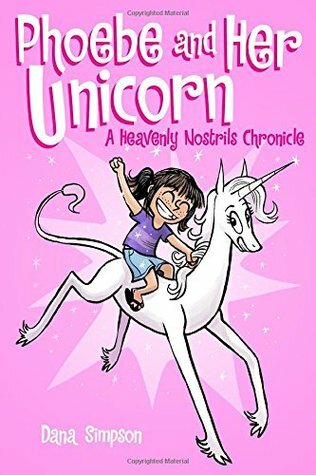 Phoebe and her unicorn, Marigold Heavenly Nostrils, had me laughing out loud throughout the entire book. The banter that occurs between the two of them is hysterical. I'm not sure 3rd graders will always appreciate the sarcasm, but I have no doubt they'll enjoy the story. Phoebe originally started out as comic strip, and as you read the book, you can tell. The transitions are weak and there is often a jump where you're not sure the story has ended and moved on to another story or if you've missed something. After I read for awhile, I started getting the hang of it. It might be something you would want to point out to your readers, just so they understand how to approach reading this book. 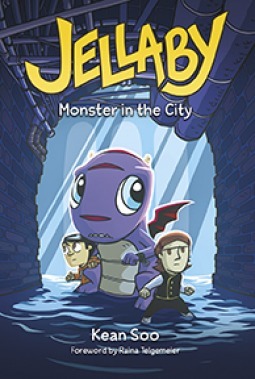 I would hand this series off to fans of Raina Telgemeier's books or fans of the Lunch Lady series. Then sit back and wait for the giggles! 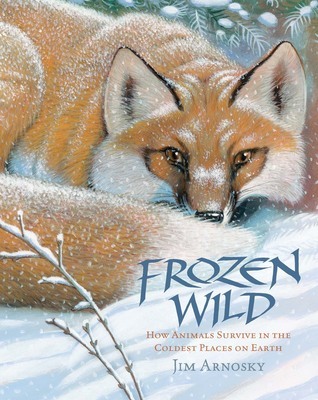 What a treat to read Jim Arnosky's newest book, Frozen Wild. I've been a fan of his other works, and this one is no different. His ability to use such descriptive vocabulary in his writing, his full color page spreads, the small pencil sketches that seem to give just the right bare bone touch to the illustration, the captions that give the reader additional information that they didn't know they needed to have. They are simply fascinating. What I love about this one is the connection to the Next Generation Science Standards. In the 1st, 3rd and 4th NGSS in the structure, function and information processing section, the students learn how offspring inherit traits, how animals use external parts to survive, how animals' structure is often dependent upon the environment, and how their traits can be influenced by the environment. Arnosky's book touches upon all of these standards, but what I am excited about it is how the organization of the book lends itself to teach these standards. Arnosky includes a table of contents that lists types of animals or a region that has harsh living conditions. Although the book is very easy to read cover to cover, it can also be read for specific sections. A reader can use the table of contents to decide to read about a specific region or animal in which to study and research. Within each section Arnosky shares facts about ways animals survive in cold areas, giving information about ways an animal adapts, some external adaptations, others internal. For example, to help them move easier through the snow, foxes, bobcats, and lynx grow extra hair around their feet. It's like wearing snowshoes! And muskrats are clever animals. They build houses from aquatic plants. In the winter, once the plants under the ice is gone, they can eat the inside walls of their houses for food. Whether you choose to read a section or two or cover to cover, students will be able to find plenty of evidence and information to help support standards in the structure, function and information processing section. If this is a standard you teach, be sure to pick up a copy of Frozen Wild. Do you want to learn more about the book and the author, Jim Arnosky? Be sure to visit Unleashing Readers to read more!